I was recently contacted by glacéau vitaminwater to join them in their think+drink+do event on July 11 at the Coca-Cola Canada headquarters as they hosted a day filled with creation and inspiration with some of Canada’s top start-up experts and all-star doers. Also in attendance were familiar faces of some of Toronto’s top influential bloggers, social media gurus and likeminded young-small business owners, who eagerly gathered in unison as we learned how to grow our personal brands and successfully achieve our business goals with panel discussions and interactive workshops catered to each individual's path. The morning started off on a delicious, fresh and scenic note as we enjoyed brunch courtesy of The Food Dudes and Coco and Cowe on Coca-Cola Canada's rooftop patio that overlooked the east end of the city. Shortly after, guests were led inside the building's modern and abstract atrium where a series of panel discussions and interactive workshops were held by glacéau vitaminwater’s panelist of start-up experts: Michele Romanow (co-founder of Buytopia and Snapsaves, and the newest dragon on Dragons’ Den), Devon Brooks (co-founder of Blo Blow Dry Bar and entrepreneurial mentor at Futurpreneur), JJ Thompson (principal and commercial photographer at Media Needs), and lastly, Elaine Lui (founder of laineygossip.com, co-host on The Social, and report at eTalk). The event was interactively organized into three sessions, the first being: 1 idea. 60 seconds. Deliver a pitch on the fly. It was led by Michele Romanow who encouraged guests to show what they got in 60 seconds and receive real-time advice from the think+drink+do experts. The initiative of this exercise was to learn how to deliver the perfect sales pitch by finding your hook, learning what makes a compelling pitch and realize the “so what” factor. The second session was a breakout session where individuals had two options to choose from: Option A; Personal branding for the creative class, led by JJ Thompson, or Option B; Impact or implode, led by Devon Brooks. In Option A, JJ Thompson led the group into realizing first-hand how one can visually build and elevate their personal brand. In this session, JJ reviewed the key do’s and don’ts as well as how to showcase their story online by using social media and networking channels to their best advantage. In Option B, Devon Brooks thoroughly explained how one's personal beliefs can influence others and the world around them through their hustle. Devon took an entrepreneurial deep dive in this session and explored how one's business can be a reflection of their values and how they can use them to increase the impact of their overall hustle. Lastly, for the third and final session, all groups combined for the think+drink+do workshop Q+A with Lainey Gossip. Here, guests took the time to reflect on the day and talk about where they see themselves going further from thereon. In this closing session, Lainey helped uncover and recognize opportunities within life’s “blind items” with aQ+A session, which for once, was gossip-free. All-in-all guests received invaluable advice from vitaminwater’s entrepreneurial mentors, whose aim is to help you get up, go out, and turn your (day)dreams into reality. 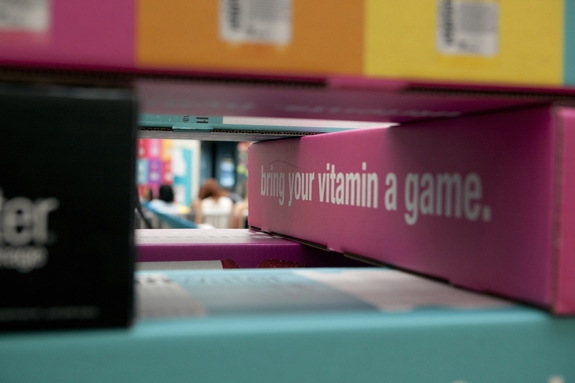 Being that vitaminwater was a start-up story to begin with, they are a huge believer and supporter of helping and encourage young entrepreneurs to "hydrate their hustle" by bringing their business dreams to life with their latest Think+Drink+Do campaign and #TotalBoss contest. To figure out if your idea is worth doing, you have to start doing it. So from now until September 30th, vitaminwater will help one lucky Canadian bring their next big idea to life with $10,000 and a one-on-one mentorship with a leading Canadian business expert. Canadians can enter by taking a photo of what inspires them, posting it on Instagram and including the hashtag #totalboss and tagging @vitaminwatercanada. Full contest details can be found on their website vitaminwatercanada.ca. Keep your hustle going, stay hydrated, and good luck!